Some may deem Brian Eno as one of the pioneers of experimental electronic music and a true renaissance man. He was producer and cohort for David Bowie’s masterpiece Low (amongst others) and has been called on to collaborate with The Talking Heads (also releasing a couple of albums with front man David Byrne), Depeche Mode, U2, and most recently Coldplay. He produces film scores, is an artist, writer, and former member of Roxy Music. 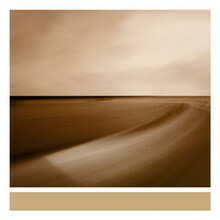 His first release in more than two years, Small Craft on a Milk Sea, is filled with quality Eno. Songs “Emerald and Lime,” “Emerald and Stone,” and “Dust Shuffle” are reminiscent of his classic 70s albums Music for Airports and Discreet Music. They exemplify his mastery at creating spacious, spacey, tranquil atmospherics. Going deeper into the depths of composition on “2 Forms of Anger,” he begins slowly with primal drum clatter, buzzing, and blips, then unleashes loud dense guitar work. “Flint March” dives into a rapid tantalizing fractured digital odyssey while “Paleosonic” is a frenetic art-noise trip. There’s a dreamy blissful track titled “Complex Heaven,” which is how I would describe this incredible collection of diverse soundscapes — a complex heaven. Sometimes Eno’s work is described as minimalist, however, there are so many layers to his songs and his range is so extensive, it’s anything but minimal. For those that aren’t familiar with his very lengthy catalog, Small Craft on a Milk Sea, runs the full gamut of Eno tinkerings that has made him one of the most innovative electronic composers out there.